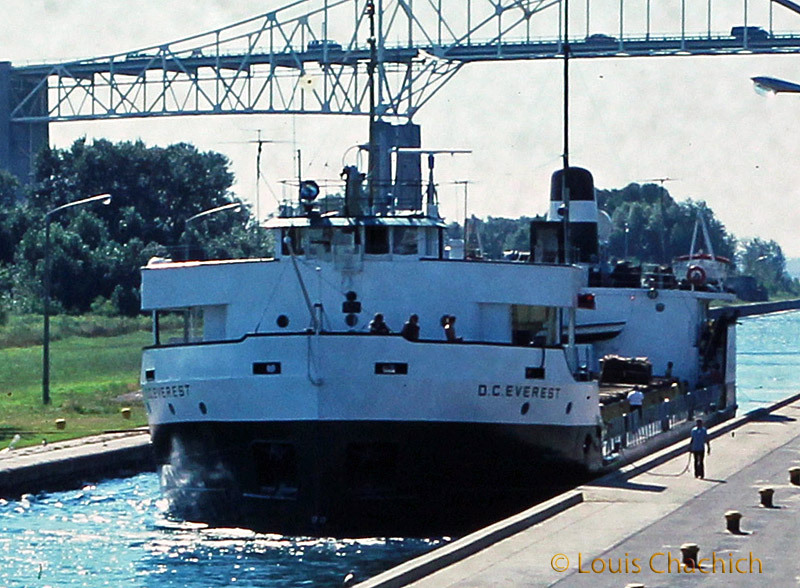 This is a shot of the crane/cargo ship DC Everest entering the Canadian Soo Locks at Sault Ste. Marie in the summer of 1975. This appears to have been taken from the park located on Canal St. on North St. Mary’s island. 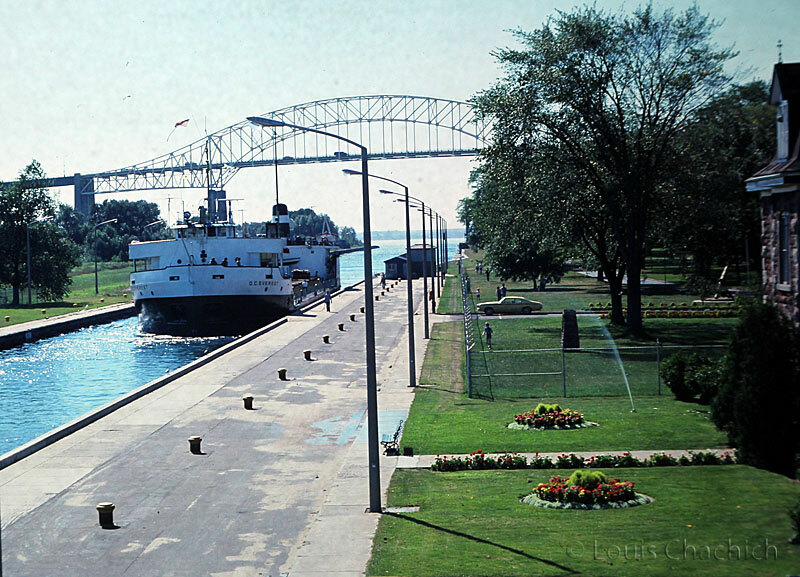 According to boatnerd.com, DC Everest was built in 1953 and primarily carried wood (pulp) products between Marathon, Ontario and Green Bay, Wisconsin. Later it was renamed to Condarrell. January 18th, 2015 at 7:54 pm This site truly has all the information I needed concerning this subject and didn’t know who to ask. January 23rd, 2015 at 4:25 am I absolutely love your website.. Pleasant colors & theme. Did you develop this website yourself? Please reply back as I’m looking to create my own personal blog and would love to learn where you got this from or what the theme is called. Cheers! January 23rd, 2015 at 7:16 pm “patricialinser@hotmail.com has spam activity on 3606 websites. Blacklisted Jan 14, 2015 19:05:38. Last seen Jan 23, 2015 13:05:28.” Well at least the spammers have started to find my website. haha. But I removed their links back to the Ukraine.